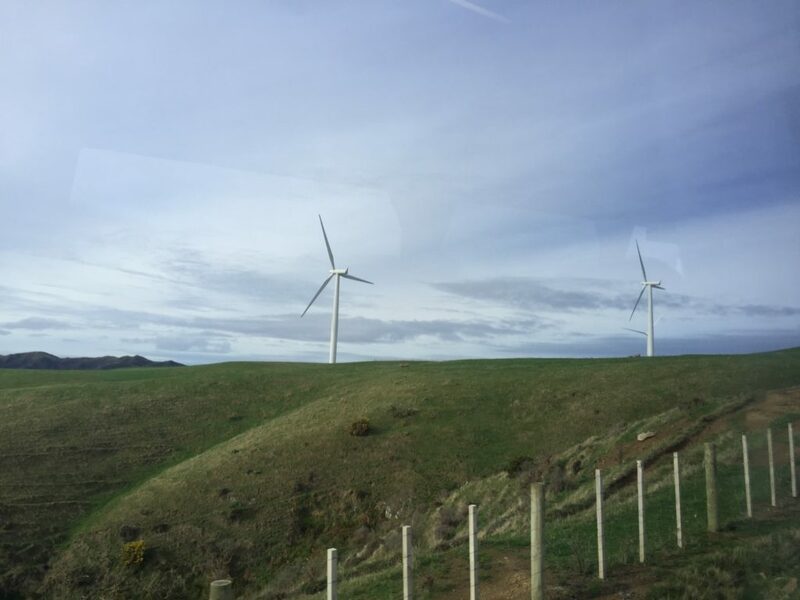 On the 29th and 30th of June 2016, I attended the ‘Winds of Change’ New Zealand Symposium. 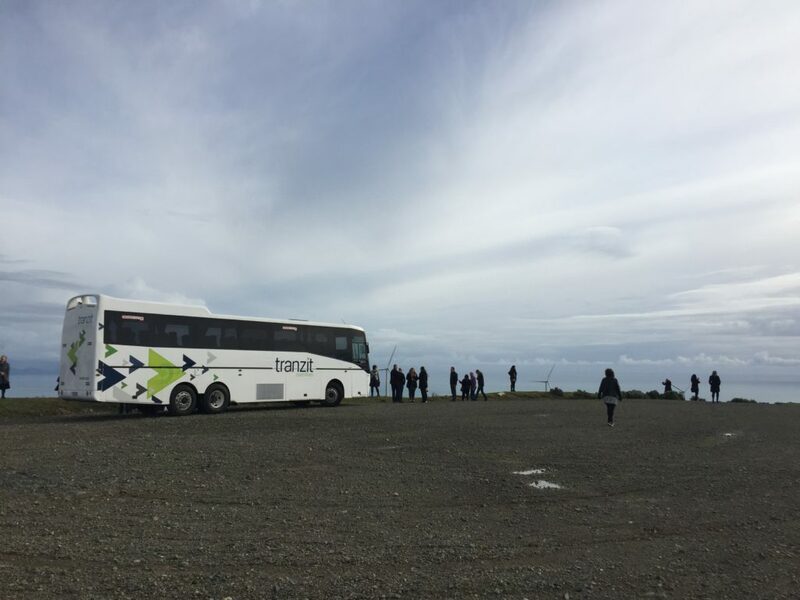 The conference started off with a bus tour of the Meridian West Wind Farm in Makara just outside of Wellington. The brave amongst us had the chance to touch the turbine. For some strange reason, I thought I might get an electric shock – I didn’t. 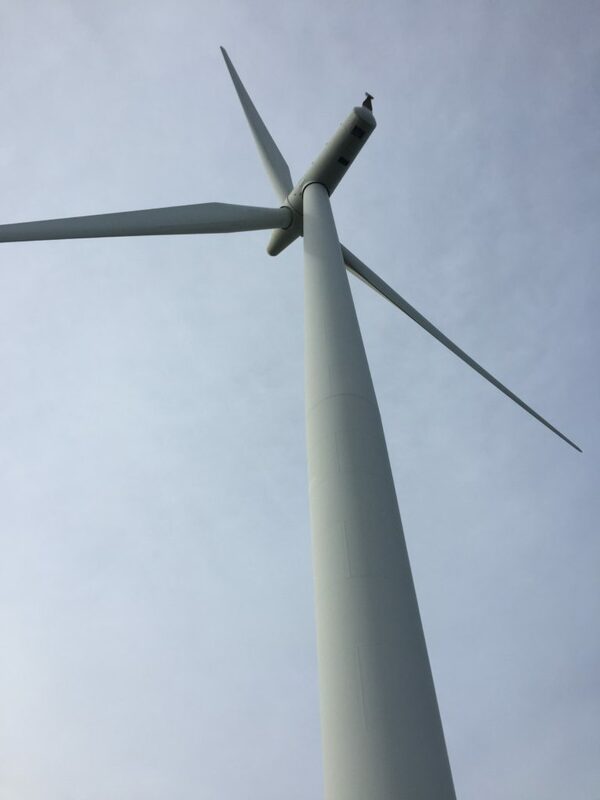 The turbines feel pretty big when you’re close up to them. I was surprised to discover that each turbine has an elevator in it which can take two people to the top. We didn’t have a go in the elevator. 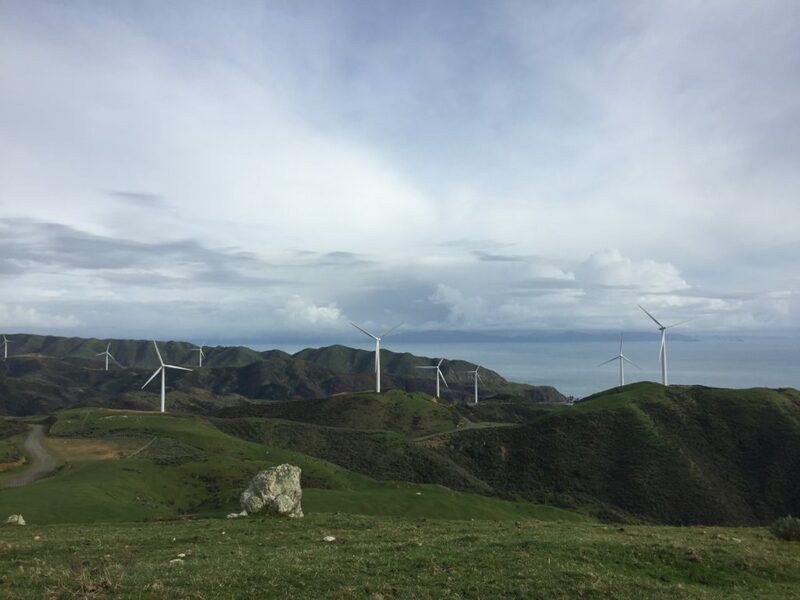 There are some great views of the Cook Strait and the South Island which looks pretty close from this angle. It’s a working farm so there were plenty of animals around. After the tour, we then headed back to the venue for lunch. 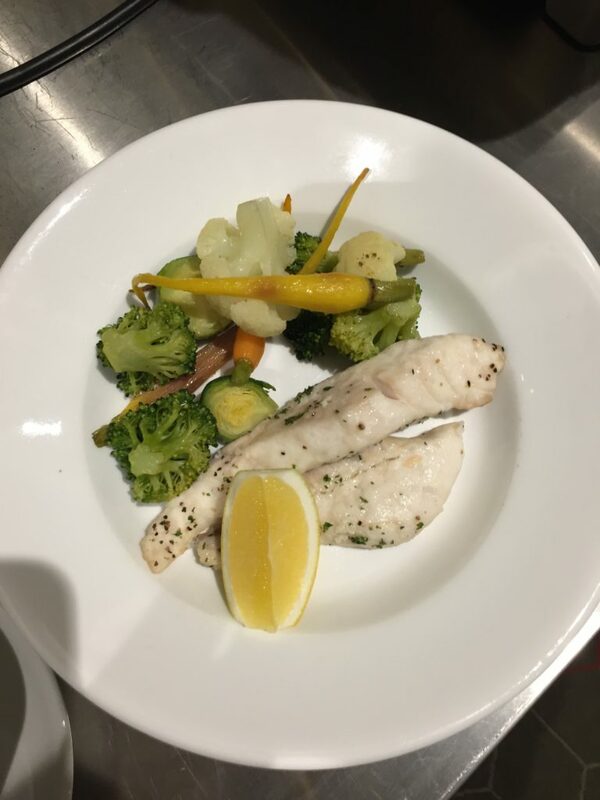 When I registered for the event, I listed my special dietary requirements at Paleolithic. While I had no idea what to expect, I was secretly hoping for something faithful to the era. 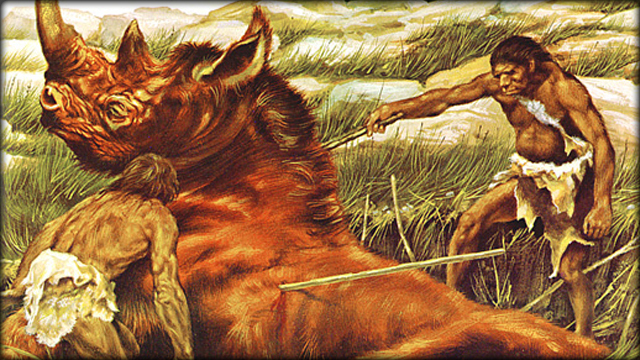 While I didn’t get to hunt my kill, I was still pleasantly surprised with my fare. How Far have the Winds of Engagement Moved the Organisational Mountain? We spent the afternoon as a group with Anne Pattillo from Pattillo and Michelle Feen from Engagement Plus. The focus of the afternoon was looking at how engagement can drive change within organisations. We concentrated on a case study about engagement work completed for the Department of Conservation. There was a lot of stuff written on the walls which we read. I should have taken photos or notes because I really can’t remember a lot about it. It was very detailed. We also got to stick things that we wrote down on the walls. 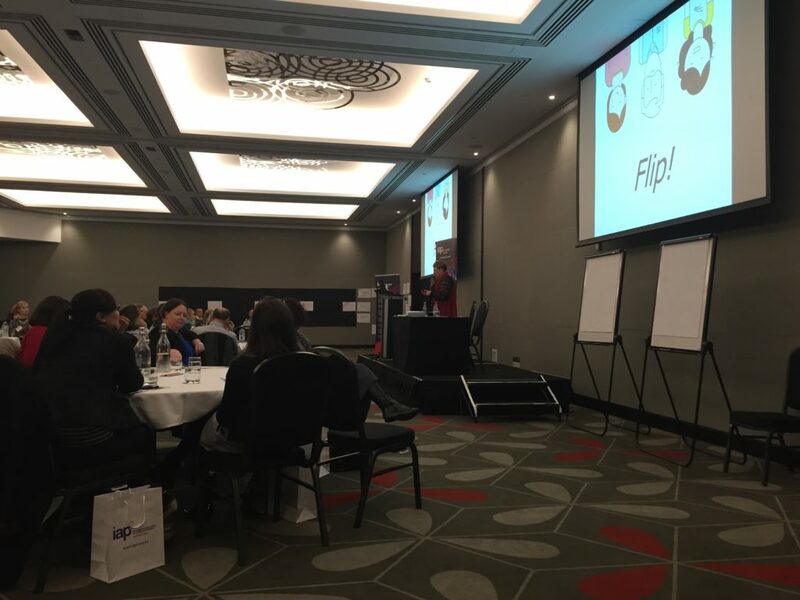 Flip – how engagement practitioners think about their role. The afternoon also featured a panel session where a group of practitioners shared their knowledge. 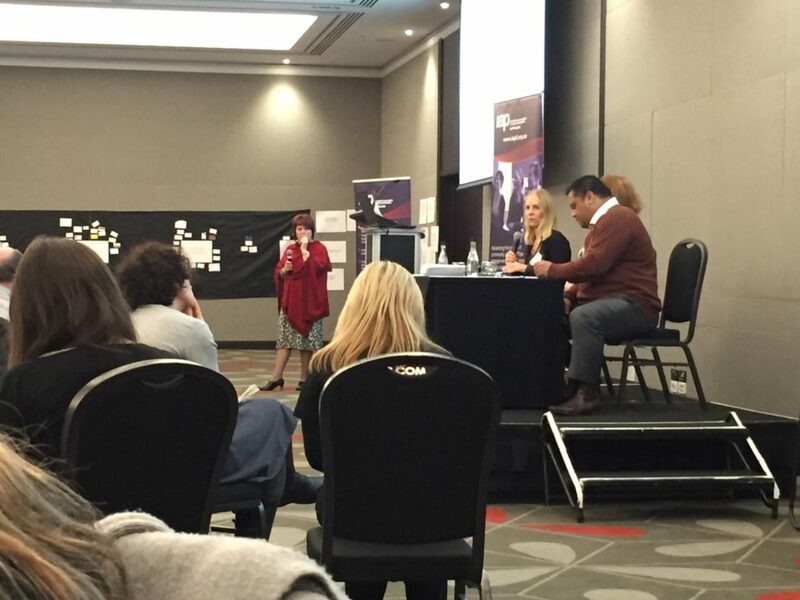 Panel members were Annie Wheeler from Department of Conservation, Leanne Hartill from City of Melville and Kenneth Aiolupotea from Auckland Council. Engagement work is being used to drive all the goals of the organisation. Overall a great first day. I do think there was an opportunity missed. What was missing was Wind of Change by Scorpions should have repeatedly been played throughout the symposium. To make up for this, I whistled the tune whenever I could.